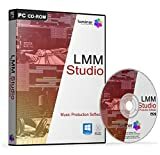 LMM Studio is your complete digital audio workstation. Suitable for beginners, enthusiasts, aspiring artists and professionals; anyone can create studio-quality songs! This entry was posted in Software and tagged Music, Production, Professional, Software, Studio by Computer Education World. Bookmark the permalink.